Tattoos represent a young and rebellious lifestyle. 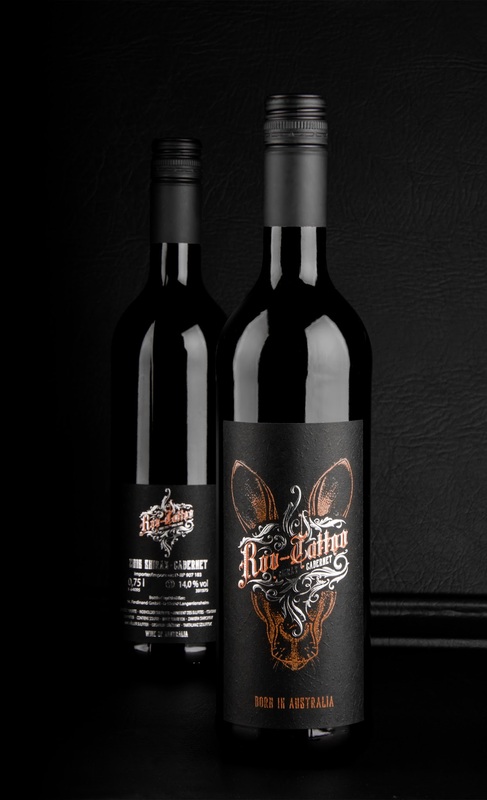 The new wine name "Roo Tattoo" is a phonetically memorable use ("Roo" is Australian slang for "Kangaroo"). 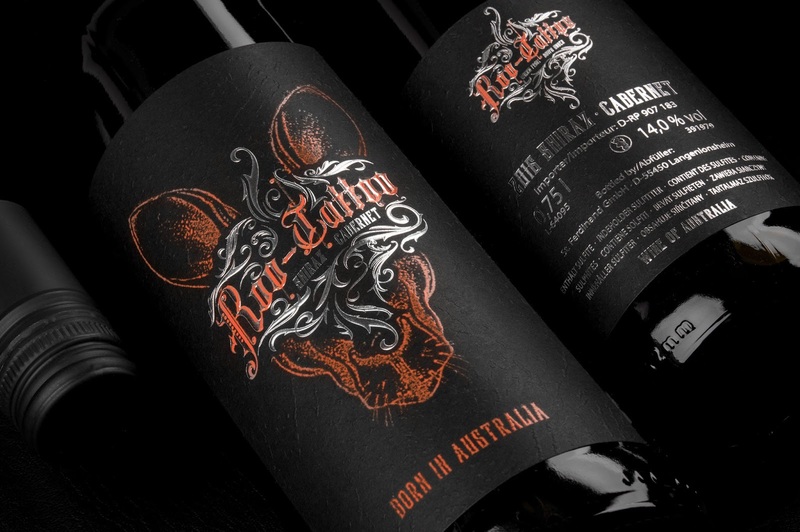 Its a cool Australian red wine for young men to explore a new target group for the customer. 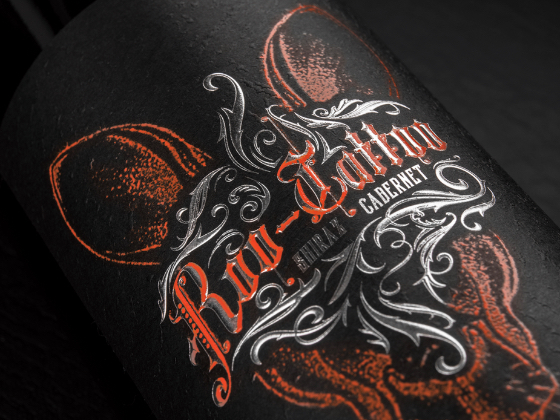 Its a red wine for tough young men who like tattoos, rock music and an independent lifestyle. 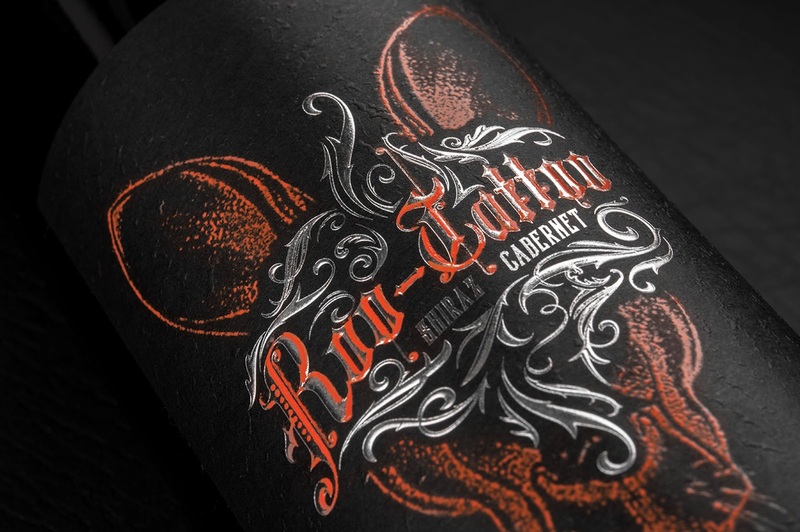 In this context the label design and black structured paper generates a new look and feel of a mainly masculine red wine.